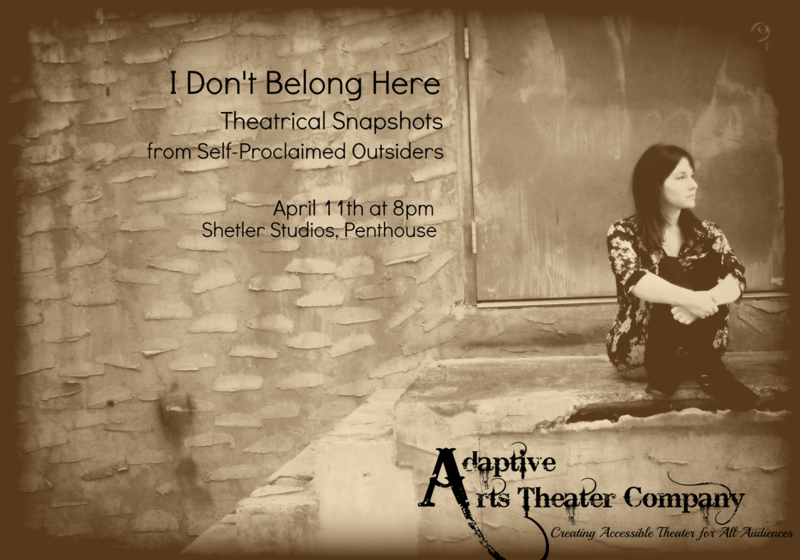 Join me on April 11th @ 8pm @ Shetler Studios for I Don’t Belong Here, an evening of new works presented by Adaptive Arts. Adaptive is a fantastic non-profit theater company that works to promote Autism awareness and education. $10 Suggested donation. Reservations can be made here. Hope to see you there!